A long nine years after the critical success of The Headless Woman, Argentina’s most fêted auteur, Lucrecia Martel, brought her much-anticipated fourth feature, Zama, to the 2017 Venice Film Festival. Based on the celebrated novel by Antonio di Benedetto, Zama is a challenging film whose leisurely pace and confounding découpage take a while to warm to. But as soon as you become pleasantly dizzy from the sense of suffocating mugginess that Zama is able to conjure, Martel’s virtuosity as a stylist will mysteriously reveal itself. Borrowing di Benedetto’s narrative set in 17th century Paraguay, Zama details the inert adventures of Don Diego de Zama (Daniel Giménez Cacho), a Spanish corregidor (a colonial judicial functionary) stationed at a tropical colonial outpost. Eager to return to his family in Spain, Zama consistently puts in requests to his lazy, indulgent superior, whose promises - much to Zama’s consternation - inevitably go unfulfilled. Added to the magistrate’s vexation is the fact that he is unable to consummate an affair with the slightly daffy socialite Luciana Piñares de Luenga (played by Pedro Almodóvar regular Lola Dueñas - the Almodóvar brothers helped produce Zama). Driven slightly crazy by his inability to escape his hot purgatorial world, Zama joins a small posse in search of the elusive bandit, Vicuña Porto. The sense of tangible reality in Zama seems to slowly dissolve from here. This decade has been thrilling for those filmgoers who, like me, relish the work of filmmakers who unleash subconscious fever dream bonanzas on the screen. 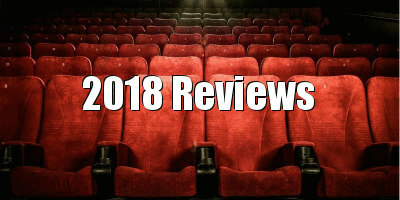 In works like Von Trier’s Melancholia, Carax’s Holy Motors, Sorrentino’s The Great Beauty, Gomes’ Arabian Nights trilogy, Dumont’s Slack Bay, and especially Lynch’s Twin Peaks: The Return, filmmakers have happily had a certain degree of freedom to let their intuition-driven phantasmagorias run wild. With Zama, Martel firmly establishes herself among the ranks of these filmmakers. Yet whereas certain directors in this list use their wild imagery and narratives to simply explore the nature of the human mind, Martel wields her ambitious vision while keeping certain social issues in mind. Just as Ciro Guerra did with Embrace of the Serpent, Martel is interested in the impotent decadence and absurdity of colonialism. 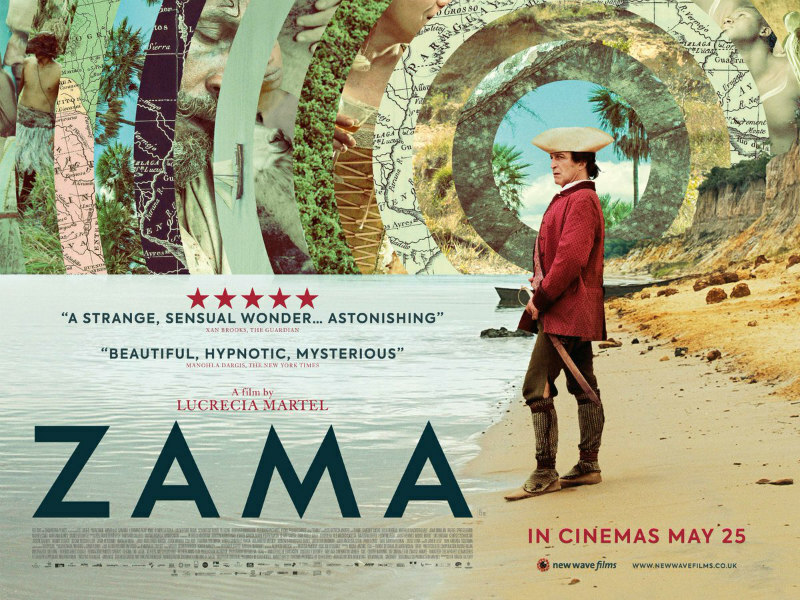 Though Martel’s social commentary is not as pointed as Guerra’s, Zama can be read as anti-colonial in that the hero is never presented as sympathetic or noble. He is an invasive species who is trapped and consumed, like a bug in a Venus flytrap, by the very land he occupies. If Zama’s bold, wonderfully perplexing storytelling weren’t cause enough for praise, one could admire the truly novel aesthetic that Martel advances in her newest film. Since La Ciénaga - and on display to a greater extent in The Headless Woman - Martel has played subtly and intelligently with what we are able to see and hear. In Zama, Martel layers planes of visibility within her shots as if each one were a puppet theatre for her existential Punch and Judy show. Walls, stables, dunes, and even horses in the foregrounds of shots obstruct events whose sounds we hear or we think we hear. We hear the sounds of violence only visually hinted at above a thick expanse of tall swamp grass. A shoulder of a man’s nightshirt seen through a crack in a door allows us to realize along with Zama that Luciana has chosen a different, superior lover over him. Other filmmakers would relay such moments through quick editing, but Martel confidently holds these shots for relatively long periods of time, allowing us to marvel at her controlled compositions and sink further into our own aesthetic intoxication brought on by the film’s ability to mess with our sense of time and space. Such stylistic moments depend, of course, on sound, and Martel’s soundscapes are just as lush as her visuals. The dense, steady droning of cicadas in the muggy tropical weather hypnotises us as much as the consistent lull of the sound of waves crashing on a shore. Occasionally, a sleepy tropical ballad like 'Always in My Heart' (memorably used during the opening credits of Wong Kar-Wai’s Days of Being Wild) wafts across the soundtrack, simultaneously easing us into the film’s sleepy rhythm while also driving us slightly mad along with the long-faced Don Diego. Some of the most aesthetically satisfying moments are ones in which Martel employs a loud, mysterious sound that slides down in pitch with the same ethereal majesty as Miklós Rózsa’s theremin scores for Spellbound and The Lost Weekend. These aural moments are paradoxically of a piece with the mired pace of the film just as they shock us into awareness that something significant is happening, even if that significance - like a character heard but not seen behind a wall - is not immediately available to us. It’s only fair to give warning that Martel’s new film can be something of an endurance test. At certain points during the film’s nearly two-hour running time, Zama’s drowsy rhythm can instill a feeling of impatience, a feeling that can be exacerbated by the lethargic inertia that hangs about Don Diego as thick as the jungle air. 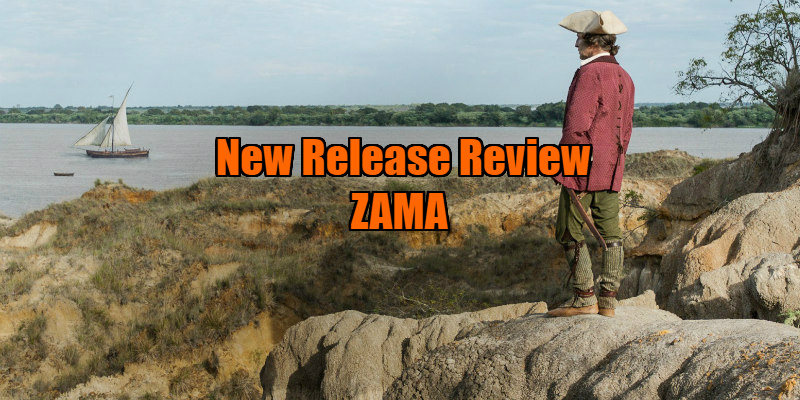 By the time Zama has ended, it’s not entirely clear whether we have witnessed a story that took the time it needed to accurately express its ideas or whether we have been prisoners of moments of soupy stylistic indulgence. But even if the latter is true, Zama’s sheer aesthetic originality, its sensuality elicited through uniquely cinematic means, is enough to have made these last nine years worth the wait, and it’s enough to make us hungry for the next time we can have the pleasure of experiencing a work by this fascinating filmmaker. Zama is in UK/ROI cinemas May 25th.